This novel represents the first appearance of Lawrence Sanders' most famous character, Edward X. Delaney, and the masterpiece of murder and suspense that launched Sanders' career. The author outlines the conception, planning, and execution of the robbery of an Upper East Side apartment building with machine-like precision. The novel employs a clever premise: the entire story is told in surveillance-tape transcripts and reports from law-enforcement agencies, each of which observes an aspect of the situation in which the robbery takes place. This suspenseful classic is brought to life by a full cast, including L. J. Ganser, Marc Vietor, Mark Boyett, Zoe Hunter, Gabra Zackman, Lauren Fortgang, Kevin T. Collins, Josh Hurley and Peter Ganim. 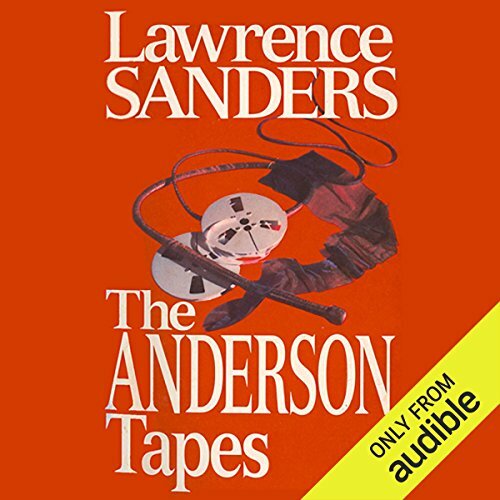 ©1969, 1970 Lawrence Sanders (P)2011 Audible, Inc.
A decent enough story, but the format--supposed excerpts from surveillance tapes--is a bad match to the audio format. The story is dated, it was written several decades ago, when new york was a war zone, and the idea of civilian surveillance was a fresh one. But it's hard to hold that against it. it's more just an issue of the awkwardness of all the steps of listening to someone reading written transcripts of someone supposedly speaking. I never thought i would write these words, but i almost think this one needs a *shudder* dramatic performance with an ensemble cast in order to get the authors story across. IMHO, skip this one, and go right on to 'The First Deadly Sin' an excellent novel well performed. This book, although listed as first in the series by audible, is not needed to understand the series. I really enjoyed this book.The format of telling the story from from surveillance tape transcripts was an interesting twist.I also liked the variety of narrators. All The narration was excellent. I really liked Billy and Gerry Bingham Jr.. I also liked the guy with the Irish accent,he seemed so authentic-was he really Irish?. John Anderson was also very good! The story and plot kept me guessing. I would highly recommend this book for those who enjoy crime or suspense books. After listening to the 1st and 2nd "Deadly Sin" it was like, this book was not as well written or organized. It was not terrible, just not as good as the "Deadly Sins" books. It was as if this was the first book Sanders had published. Would you be willing to try another book from Lawrence Sanders? Why or why not? Yes, as I said, I read this out of order. I will listen to the "Deadly Sins" series. I enjoy many books by Lawrence Sanders, but this was not one of them. It’s possible I’d have preferred the actual book to the audio version, as one of my issues was the narration. This story has a full cast, which I found distracting. Some of the narrators were great, others ok, and some annoying and fake sounding. The concept of telling the story through surveillance tapes was interesting, but inconsistent. Overall I found that distracting as well, I couldn’t lose myself in the story or characters. The narrative is tedious with all its references to very long sources. Example: tape 332.345dash 36dash 45nypd 487dash 14 January 1947 abbreviated for duplicated materials. This runs frequently throughout the narrative and nearly drove me crazy. The introduction of Iron Balls at the end was fun. I would not recommend purchasing this book. This is the worst book I have EVER listened to, in fact didn't finish it……….. The title tells it all, it is clips from a tape………. tapes. stupid story line, dumb characters and plot-what plot. I have listen to over 300 books, don't waste your money!!!! I enjoy all of the author's Matthew Scudder books, but found this early work a little dated and stiff. It was Ok, but not my most enjoyable listen.